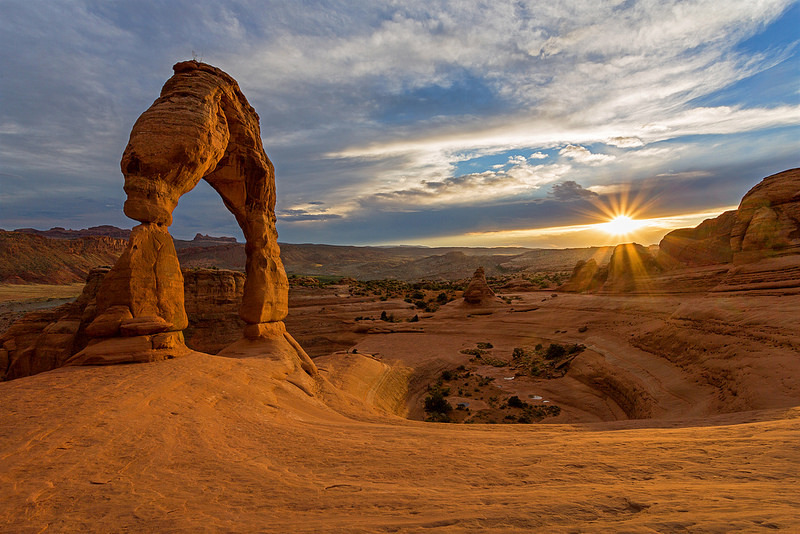 I arrived at Arches National Park in the late afternoon and hiked to Delicate Arch for sunset. Scattered thunderstorms were sweeping through the area, and I worried that clouds would block the photogenic late light from hitting the arch. 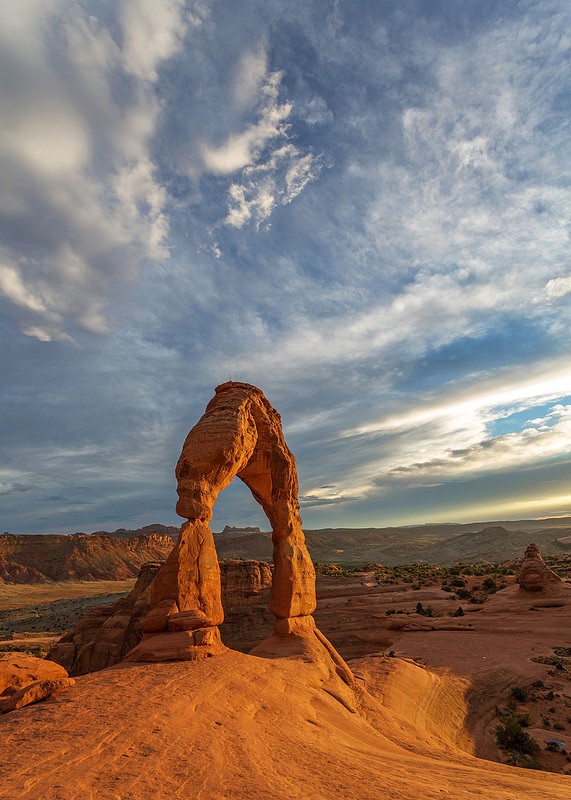 Delicate Arch is my favorite rock formation in the park. It’s huge, with a unique and dramatic shape, and – unlike most of the other arches – it rises alone from its base. 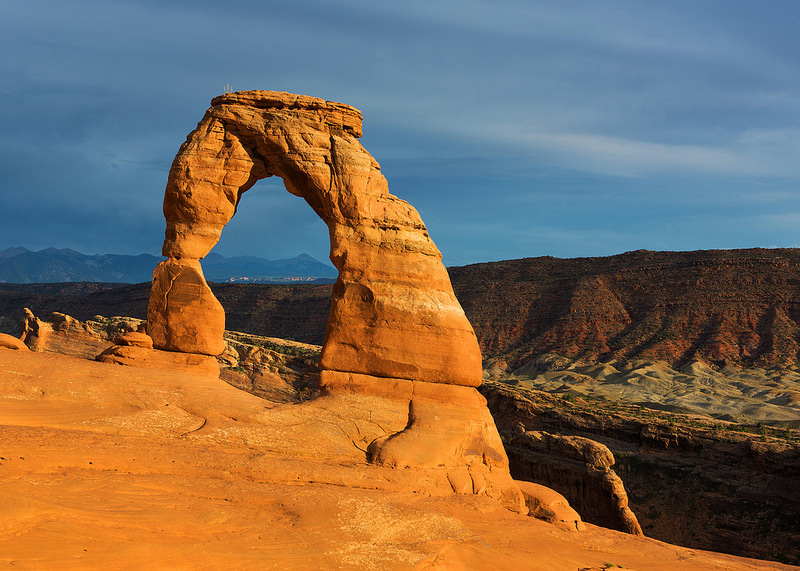 I understand why the state of Utah chose to use Delicate Arch for the image on their license plates. The sun was fully hidden when I reached the arch, but just before sunset a gap mercifully opened in the clouds and gave the last light of day a brief window. Other hikers frequently stood underneath the arch to have their photo taken, and I was lucky the scene was free of people when the sun peeked out. The next morning I woke up extra early so I could be at Dead Horse Point State Park for sunrise. 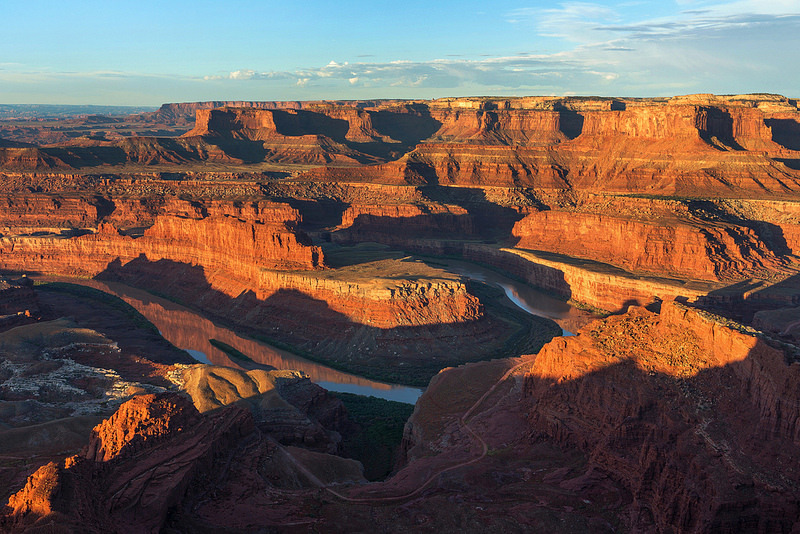 On previous visits to the Moab area I’d been so focused on taking sunrise photos at Canyonlands National Park that I’d never even stopped by Dead Horse Point, which has incredible views of high cliffs surrounding a bend in the Colorado River.